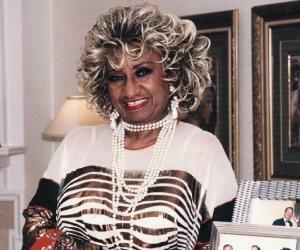 Celia Cruz was a Cuban singer of Latin music and was the most popular Latin artist of the 20th century. Check out this biography to know about her childhood, family life, achievements and other facts related to her life. Celia Cruz was a Cuban singer of Latin music and was the most popular Latin artist of the 20th century. 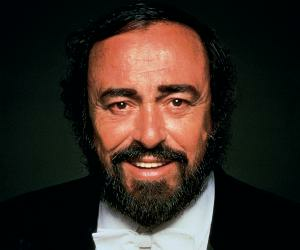 She was well known for her operatic and poignant voice, and improvised rhythmic lyrics. 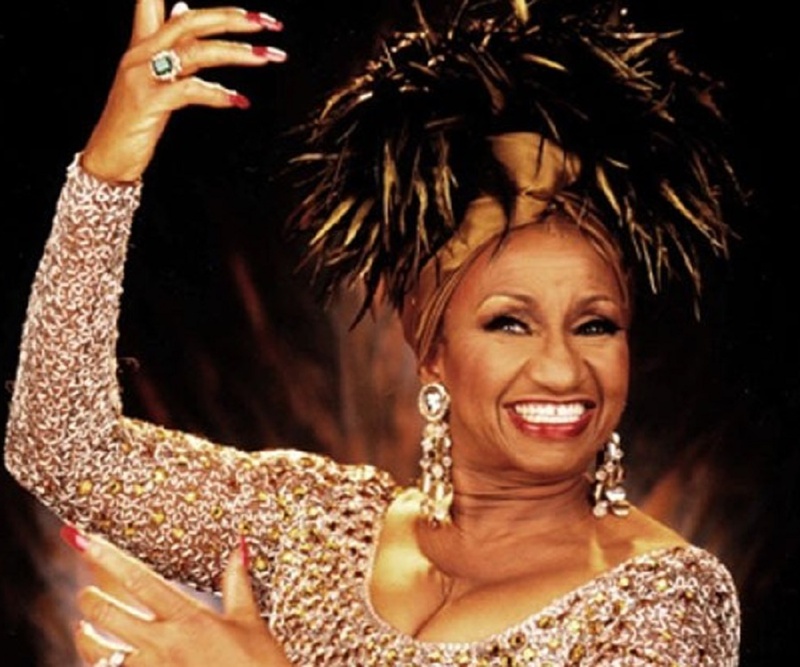 Recognised globally as the ‘Queen of Salsa’, Celia Cruz was a recipient of the National Medal of Arts. Her glitzy stage costumes included myriad coloured wigs, tight sequined dresses, and very high heels. Growing up in Havana, Cuba she intended to become a teacher, in deference to her father’s wish. However, she soon pursued her true calling—music—and began winning singing contests on various radio shows. She first gained proper recognition as a singer in the 1950s, when she replaced lead singer Myrta Silva of the popular orchestra ‘La Sonora Matancera’. She began touring extensively with the group, performing at various concerts. In 1961, following the Cuban Revolution and Fidel Castro’s rise to power, Celia Cruza became a U.S. citizen. She went on to record 23 gold records with Tito Puente, the Fania All Stars and other collaborators throughout her career. Her many achievements include winning several Grammy Awards (including Latin Grammys) for recordings such as ‘Ritmo en el Corazón’ (1988) with Ray Barretto and ‘Siempre viviré’ (2000). 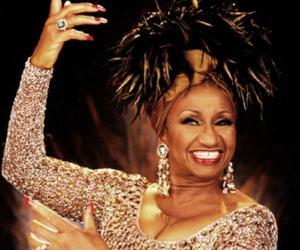 Celia Cruz was born on 21 October 1925, in Santos Suárez, Havana, Cuba. She was the second of four children, born to Simon Cruz, a railroad stoker, and Catalina Alfonso, a homemaker. She was drawn to music from an early age. Growing up in an extended family and being one of the eldest among fourteen children, she often put her younger siblings to sleep by singing. In her growing years, she was deeply influenced by Cuba's varied musical environment and musicians, such as Fernando Collazo, Abelardo Barroso, Pablo Quevedo and Arsenio Rodríguez. Much against her father's wish, she learned santería songs from her neighbour and began singing in school productions and community gatherings. As a teenager, she began frequenting nightclubs with her aunt, to sing. However, her father continued to encourage her for a career in teaching. After high school, she attended the Normal School for Teachers in Havana in order to become a literature teacher. Eventually, she discovered the huge earning potential of an entertainer and from 1947 she began studying music theory, voice, and piano at Havana's National Conservatory of Music. After winning various singing contests on radio stations, Celia Cruz’s first recordings were made in Venezuela in 1948. Soon after, her first big break happened in 1950 when she replaced Myrta Silva as a singer in Cuban band ‘La Sonora Matancera’. She helped push the band and Latin music to new heights and won the support of band leader, Rogelio Martinez. She recorded hits like ‘Yembe Laroco’ and ‘Caramelo’. Celia Cruz stayed with the band for 15 years while also making guest appearances in Mexican films, such as ‘Rincón Criollo’ (1950), ‘Una gallega en La Habana’ (1955) and ‘Amorcito Corazón’ (1961). She also toured extensively across Latin and North America, performing with the band. In 1961, she became an U.S. citizen after being banished by Fidel Castro. Eventually, she left the band ‘Sonora Matancera’ in 1965 and launched her solo career with Tito Puente. Although they released eight albums together, the musical collaboration failed to achieve success. The duo later joined Vaya Records, the sister label of Fania. Her 1974 album, ‘Celia y Johnny’ with Johnny Pacheco was quite successful. The song ‘Quimbera’ from the album became one of her signature songs. Soon, she became a part of ‘Fania All-Stars’, a band of salsa musicians signed by the Fania label. As part of the group, she toured England, France, Democratic Republic of Congo, and Latin America. In 1976, she was part of a documentary film Salsa’ about Latin culture, ‘along with personalities like Dolores del Río and Willie Colón. She also made three albums with Colón in 1977, 1981, and 1987. In the 1980s, Celia Cruz achieved her long deserved international fame. She extensively toured Latin America and Europe, performing at various concerts and television shows with other artists. She did a romantic film ‘Salsa’ (1988) with Robby Draco Rosa and later recorded an anniversary album with ‘Sonora Matancera’. In 1992, she appeared in the film ‘The Mambo Kings’ with Armand Assante and Antonio Banderas. She recorded a new album in 2001 with Johnny Pacheco as one of the producers. She also appeared on the albums of Dionne Warwick, ‘Dionne Sings Dionne’ (1998) and ‘My Friends & Me’ (2006). Celia Cruz’s live album, ‘Celia Cruz and Friends: A Night of Salsa’ was recorded in 1999 during a concert. Some of the participants of the concert were Tito Puente, Johnny Pacheco, La India, et al. The album reached # 12 on the Billboard Tropical Albums chart and received a Latin Grammy Award for Best Salsa Album. Her album, ‘La Negra Tiene Tumbao’ (2001) was a musical teamwork with Mikey Perfecto and Johnny Pacheco. 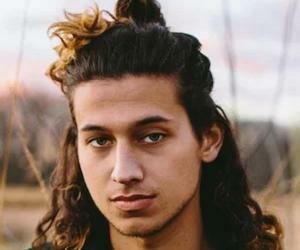 It released at number five on the Billboard Latin Albums chart and number two on the Billboard Tropical Albums chart. The album won Best Salsa Album at the Latin Grammy Awards. Her final studio album, ‘Regalo del Alma’ released posthumously in July 2003. The album produced two singles, ‘Rie y Llora’ and ‘Ella Tiene Fuego’ which became extremely popular and peaked at number one on both the Billboard Latin Albums and Billboard Tropical Albums charts. It received the Latin Grammy Award for Best Salsa Album and the Grammy Award for Best Salsa/Merengue Album. Celia Cruz won a total of eight Grammy Awards (including the Latin Grammy Awards) during her lifetime and posthumously. In 1989, she won her first Grammy Award for ‘Best Tropical Latin Performance’. Thereafter, she repeatedly won Grammys for ‘Best Salsa Album’, ‘Best Salsa Performance’, and ‘Best Tropical Traditional Album’. In 2016, she was conferred posthumously the Grammy Lifetime Achievement Award. In 1994, she was awarded the National Medal of Arts by President Bill Clinton. In the same year, she was inducted into the Billboards Latin Music Hall of Fame along with fellow Cuban musician Cachao López. In 1999, she was inducted into the International Latin Music Hall of Fame. After the Cuban Revolution when Fidel Castro assumed power, he prohibited the members ‘Sonora Matancera’ from returning to their homeland. The band at that time was touring Mexico. The members, including Celia Cruz decided to settle in the United States. She tried to return to Cuba in 1962 when her mother died but was denied government permission. She married Sonora's trumpet player, Pedro Knight on 14 July 1962. Knight later became her manager and music director. The couple did not have any children. 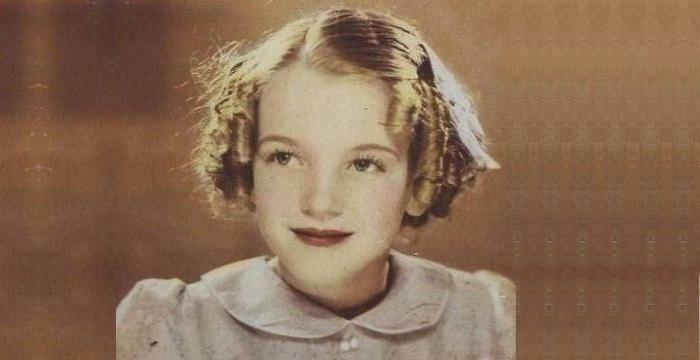 At the age of 77, on 16 July 2003 she died of brain cancer at her home in New Jersey. After her death, her body laid in state in Miami's Freedom Tower where thousands of fans paid their last respects. She was buried in a granite mausoleum built by her husband in Woodlawn Cemetery in New York City. After his death in February 2007, he was buried with her in the same mausoleum. In March 2011, she was honoured by the United States Postal Service with a commemorative postage stamp. In October 2015, Telemundo premiered an 80 episode docu-drama based on her life, ‘Celia’ (telenovela). It was hosted by American singer Marc Anthony and Cuban-American singer Gloria Estefan. Google honoured her with a Google Doodle on 21 October 2013.